The soft touch double layer safety ID card lanyards have 2 width; 3/8" and 5/8" available. We provide one safety buckle located on the back of neck, left hand side or right hand side. 2 or 3 safety buckles for soft touch double layer models are not suggested, they will be too busy for more than one safety buckle. Any safety ID card lanyards with custom colors, sizes or hardware attachments are welcome ! 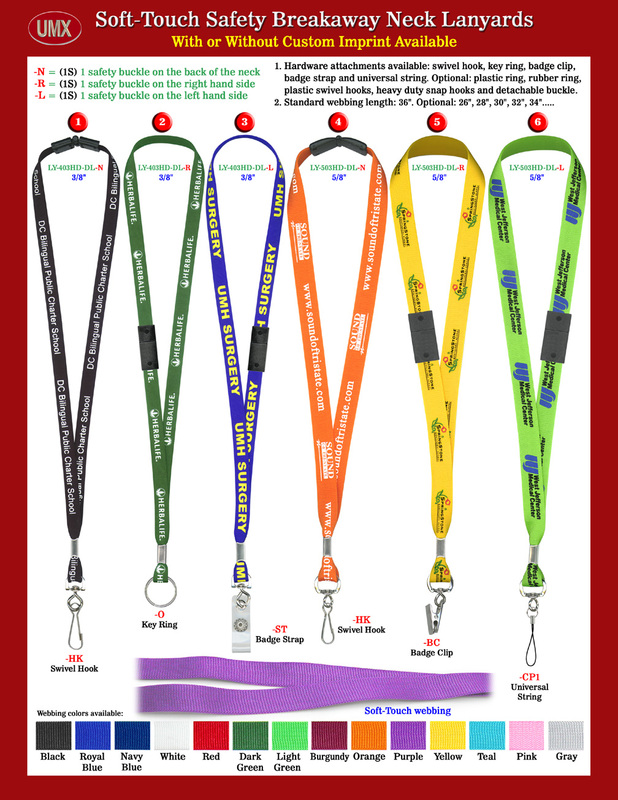 You are viewing Lanyards > Safety > 3/8" and 5/8" Soft Touch Double Layer Safety ID Card Lanyards.